Home/Investigators and Research Centers/Investigators/Fernando Bronet, Ph.D.
Dr. Fernando Bronet is the Director of the IVF and PGD Laboratories at IVI Madrid since 2008. He graduated from the Universidad Complutense de Madrid in 2000, where, in 2005 he also completed a PhD at the Department of Animal Physiology. In 2008, he completed a Fellowship at Melbourne IVF, before returning to take on his current position. 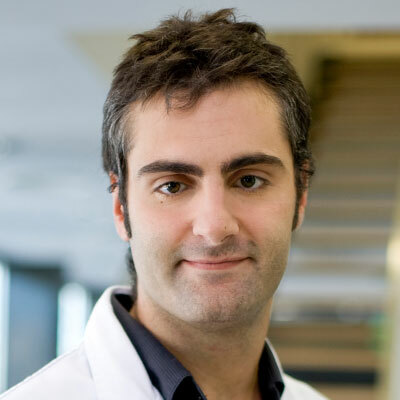 He has a Senior Embryologist certificate from ESHRE, and serves on the executive board of the genetic interest group of the Spanish National Society for the Study of the Seproductive Biology (ASEBIR). Dr. Bronet has been invited to speak nationally and internationally and authored or co-authored several book chapters and numerous articles in peer-reviewed journals. He also serves as Ad Hoc Reviewer for Fertility and Sterility, Human Reproduction, Reproductive BioMedicine Online, Journal of Human Reproductive Sciences, Journal of Assisted Reproduction Genetics, Molecular Human Reproduction Reproductive Biology and European Journal of Obstetrics & Gynecology. Dr. Bronet has been involved in teaching since his early career, imparting postgraduate courses since 2005. Presently he is the Coordinator of the Genetic in Human Reproduction Module from the Master’s Degree in Biology and Technology of Assisted Human Reproduction at Madrid European University. His research interests include ART, embryonic competence and aneuploidy, culture conditions, and laboratory QA/QC.